Are you feeling overloaded? Surrounded by chaos? Or maybe you’re no longer sure what your purpose is. Perhaps you’ve never known. Perhaps every once in a while you hear a whisper or a heartbeat—something—and you’re certain there is more to...everything. Maybe you’ve heard of the Church of the Old Mermaids and the Old Mermaids Sanctuary and you wonder if you could find refuge with the Old Mermaids and learn their ways. Now their unique, practical, mystical, and poetic ways of being in and connecting with the world have been codified into The Old Mermaids Mystery School, a 13-month self-directed program to help you explore ways to swim, walk, and dance with beauty, joy, and authenticity through all the days and nights of your life. When the Old Mermaids walked out of the Old Sea and into the New Desert, changing their fin-ware into skin-ware, they brought with them not only their beautiful magical selves but entire skill sets which enabled them to thrive in their new and changing world. In Mystery Schools from ancient times, the Mysteries were based on ideas that were hidden in plain sight. 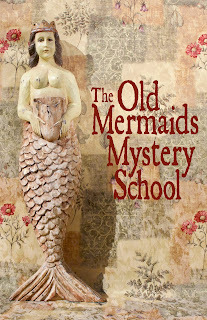 So it is with The Old Mermaids Mystery School. The novice—and we are all novices at the Church of the Old Mermaids—will step over the threshold and into the school with a Beginner’s Mind while taking all of her experiences (or inexperiences) with her to help create a meaningful, fun, and unique experience. It is all about becoming our most true and authentic selves so we can be vital and amazing members of our communities. Once we are full of our true selves, then we can more easily and effectively heal ourselves. Each month, via email, you will receive a beautiful packet containing Sacred Text, Histories and Mysteries, and Recipes for Living (and Eating) the Old Mermaids Way, along with a guide for making your own sacred treasures, including a Treasure Box (remember Myla’s cigar box) and your own 169-card world oracle! Myth, stories, and practices that connect us to Nature and each other can change and save our lives; that is how the Old Mermaids teach us in The Old Mermaids Mystery School. This is not one more “thing” for you to do. This is a gift you give yourself to deepen and enrich your own practices or help you adopt new ones You can read the teachings and absorb them, like a kind of “transmission.” Or you can follow the guidance and suggestions each month and see how your life changes for the better. It's $13 a month for 13 months, payable in either one lump sum of $169 or two payments of $85. Or send a check to Green Snake Publishing, PO Box 1100, Stevenson, WA 98648. Include your name, email address, and mailing address. DO NOT FORGET TO INCLUDE YOUR EMAIL; THE PAYPAL EMAIL IS OFTEN AN OLD ONE. You may ask for a refund at any time. Full refund after the first month; after that it’s a full refund minus $13 for each lesson you’ve received. Mystery schools were places where mystical and arcane knowledge was taught, often about ideas and methods hidden in plain sight. The word "mystery" has a rich etymology. It meant "mystical," "hidden revelations from the divine," "handicraft, trade, art," "hidden or secret thing," and "mastery." TOMMS is not religious. One can be a member of any religion or none at all to study the wisdom of the Old Mermaids. One only needs to be open to the possibility of mystery, revelations, mysticism, and mastery. The Old Mermaids Mystery School is all about connecting participants with Nature, their communities, and their true selves through unique and time-honored practices, storytelling, mythmaking, creativity, and a ceremony or two. Who are the Old Mermaids? 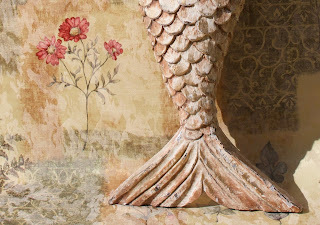 The Old Mermaids survived and thrived when their Old Sea dried up, and they had to learn to live in the New Desert. Now The Old Mermaids Mystery School offers their wisdom, knowledge, and mysticism to help us weather life's changes and challenges while revealing the mysteries of Nature and our true selves. They came into being about 10 years ago when I wrote the novel Church of the Old Mermaids. They've been a part of my life and beloved by many others ever since. 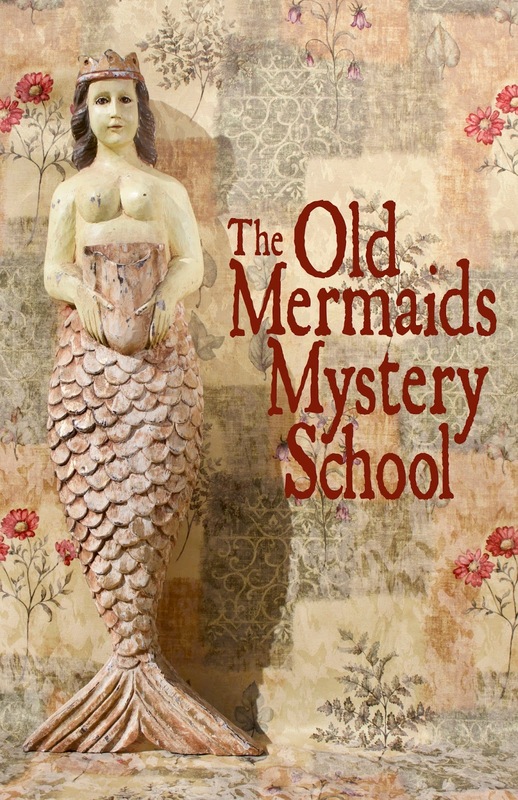 What is The Old Mermaids Mystery School? See above. But also, it's a 13-month self-directed course of study that begins when you are ready to begin. TOMMS teaches us how to be grounded in this world and aware of that which is Visible, Invisible, that which is sometimes hidden, and that which is sometimes hidden in plain sight. Each month, the initiate receives a packet which includes Sacred Text, History and Mystery of the Old Ems (including myths, fairy tales, and legends), Recipes for Living (and Eating) the Old Mermaids Way, and more. Do you need to read Church of the Old Mermaids to be a part of TOMMS? I have been a storyteller since before I could read or write. 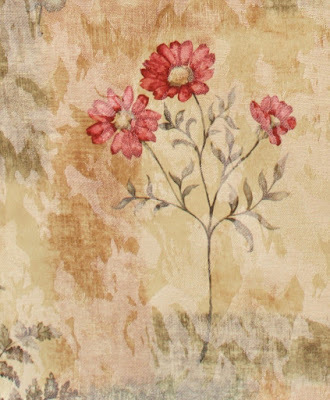 I tell stories through fiction, nonfiction, photography, and other art forms. 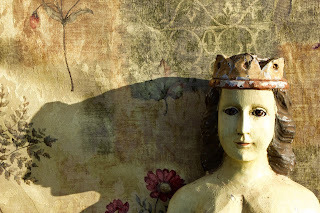 I've studied myths and fairy tales since I was a girl. For the past 30 years, I have studied a variety of folk healing methods and magical systems, and I've trained with Vicki Noble, Tom Cowan, Robert Moss, and Grandmother Maria Alice Campos Freire, among others. I'm particularly fond of my training and experience in the Celtic Visionary Arts, braucherei, dreaming, and women's ecstatic ceremonies and rituals. I am a published writer and photographer who finds mythic meaning everywhere, especial in food and nature...and the Old Mermaids. More questions about me or the program? Write to me, Kim Antieau, at tomms@oldmermaids.com.